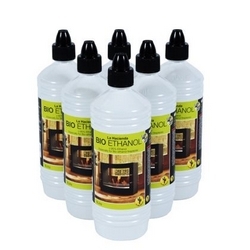 This bio ethanol fuel from La Hacienda comes in easy fill one litre bottles. 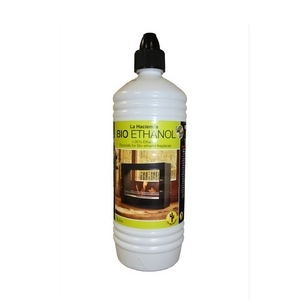 A smokeless and odourless fuel and Perfect to use with these fireboxes and and bio ethanol fireplace. No soot or ash will be left behind after burning. 3: It is recommended that a long arm lighter is used to light the fuel. 4: If necessary the fire can be extingushed by using the metal extinguishing tool provided with the firebox. 5: Store product in a cool place and keep away from heating sources. Do not expose to direct sunlight. 2: Soiled fuel containers or obstructed burner apertures may lead to soot forming. 4: Always keep out of childrens reach and keep the container tightly closed. 5: Firebox should only be lit when in a well ventilated but draught free environment. Have no idea Les sorry. Try a few hardware stores I guess.